There are a lot of people in this world who choose to use their past as a handicap for their future. They let events that have occurred in their lifetime, determine who they will become for their entire lives. That is exactly what this quote stands against in this week's segment of Motivational Monday. C.G. Jung was a Swiss psychiatrist and psychotherapist. He deeply enjoyed studying both the conscious and unconscious mind of human beings. He believed that joining these two through individuation was what kept a person whole and sane. To me, this quote should be one of the first things we all say to ourselves when we wake up in the morning. No matter what has happened in our lives, we need to continue to grow into bigger and better people. I have some people very close to me that insist their lives are the way they are because of what happened to them as children. Personally, I can not stand that excuse. Your past does not define you. All the negativity from my past has fueled me and made me so much stronger than I ever was. It deeply saddens me when someone is so unhappy with their present because of things that happened years ago. I refuse to be defined by the negativity of my past. 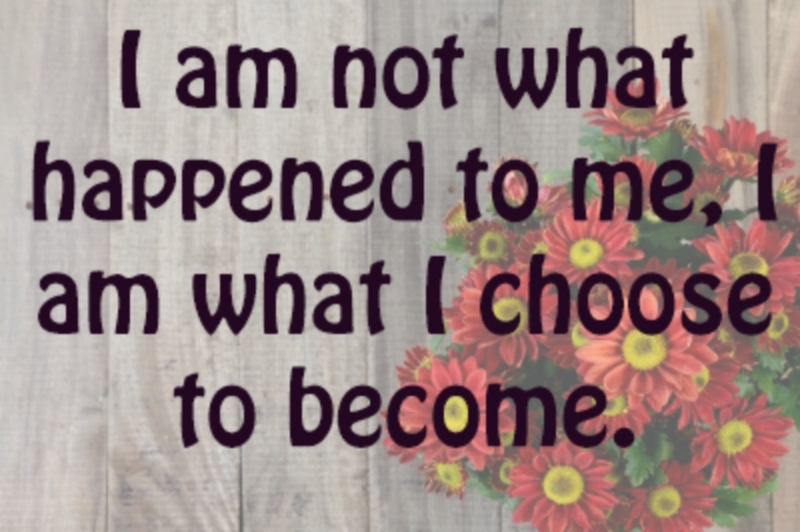 I am who I am today because of what I learned along the way. Never let what happened to you drag you down or create a negative impact on your life. Use it to grow, use it as strength. We can all choose who we want to be and where we want to be. Nothing and no one can determine that. If you are letting your past stop you from achieving something you have always wanted, it's time to change that. You can get where you want to be and you will, if you quit letting obstacles get in your way. I have faith in everyone out there to become the best they can be! I hope you have an amazing Monday. If you enjoyed today's short and sweet Motivational Monday, please subscribe below or in the NEWSLETTER tab above.